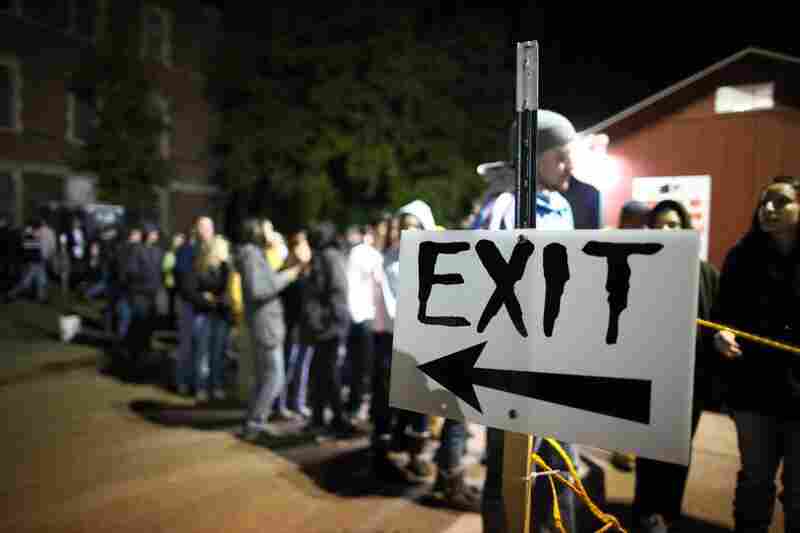 Haunted House Has Painful Past As Asylum Outside Philadelphia, a local businessman has converted a former mental asylum into a haunted house attraction. Mental health advocates say the transformation demeans a painful past that should not be forgotten. The former administrative building at the Pennhurst State School and Hospital is now the main location for the Pennhurst Asylum, a Halloween haunted event in Spring City, Pa. Entry fees are $25 for a normal ticket, and $50 for a VIP ticket that takes you to the front of the line. 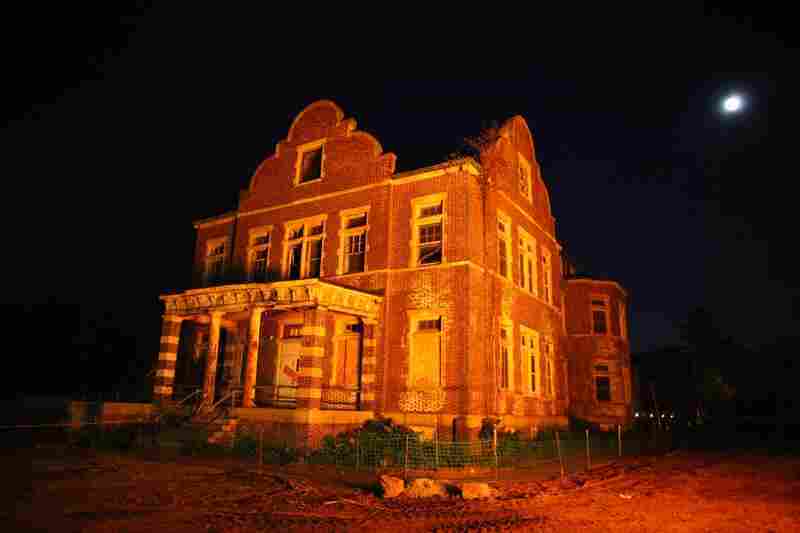 The Limerick building is lit by a bonfire on the grounds of Pennhurst. The former state hospital, which opened in 1908 and closed in 1987, was cited for abuse and neglect of its residents. Richard Chakejian is the owner of the Pennhurst Asylum. 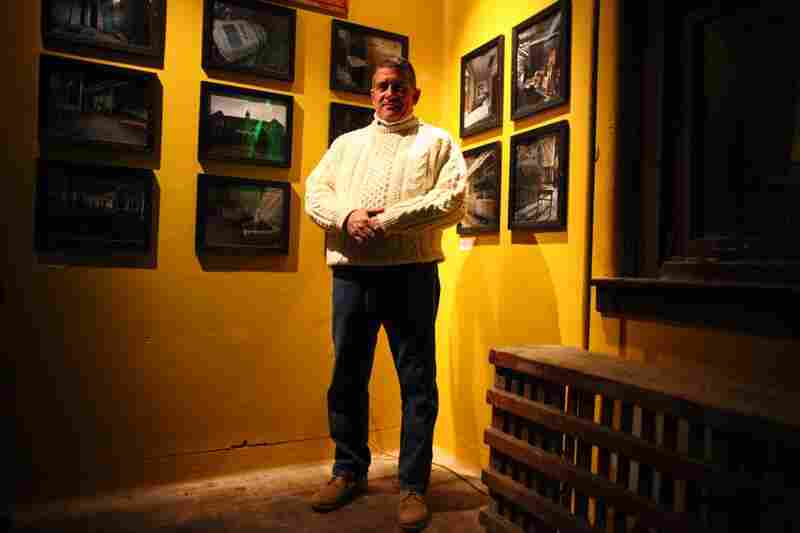 He bought the Pennhurst campus after it had been abandoned for more than 20 years. The first three rooms of the tour feature archival photographs and video explaining the history of the institution. Jim Cope is an entertainer who works the crowd lining up to visit the Pennhurst Asylum. Lines to get into the haunted house can be up to four hours, so actors and entertainers line the catwalk leading to the entrance to keep visitors entertained. People wait in line on the catwalk to get into the Pennhurst Asylum. 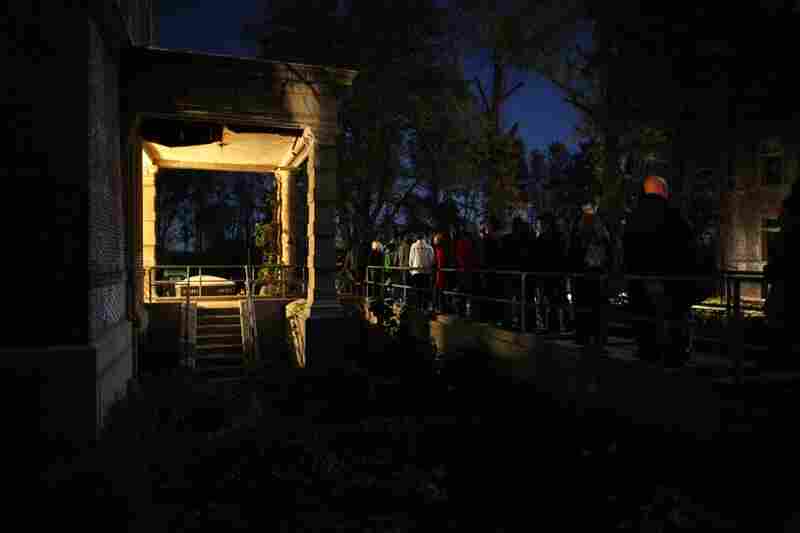 The tour features fake bodies, actors playing mental patients, a morgue, and a dark walk through underground tunnels. 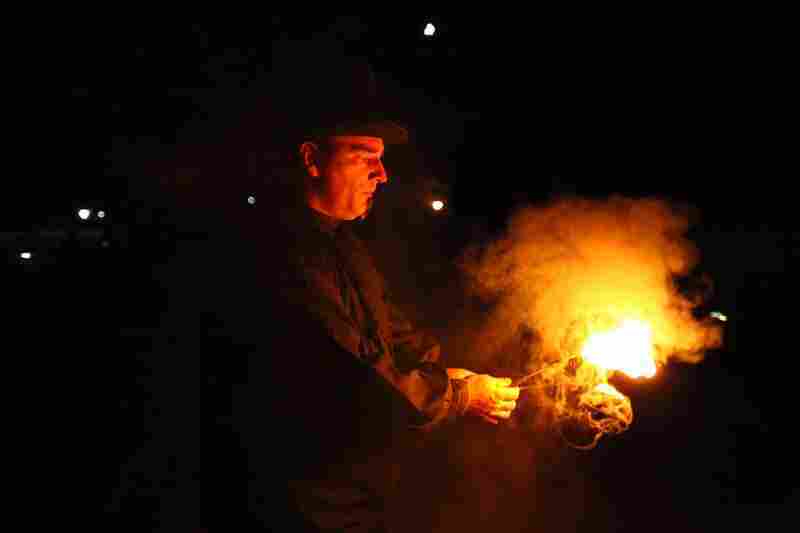 An entertainer prepares to have a board with nails pushed into his chest at the Pennhurst Asylum haunted tour. The tour features "chicken doors" that allow visitors to leave at various points if they get too scared. The actors are also trained to recognize signs of distress, and help visitors out if they are panicking. A former institution for the mentally and physically disabled, located outside Philadelphia, is the site of a new Halloween attraction. The sprawling Pennhurst State School and Hospital was shut down in 1987 after years of chronic overcrowding and patient abuse. Now a businessman has turned the property into a haunted house. The move has upset people who say it trivializes the suffering of those who lived there. Pennhurst began as an institution to care for the "feeble minded." For years, it operated under appalling conditions, and no one noticed. 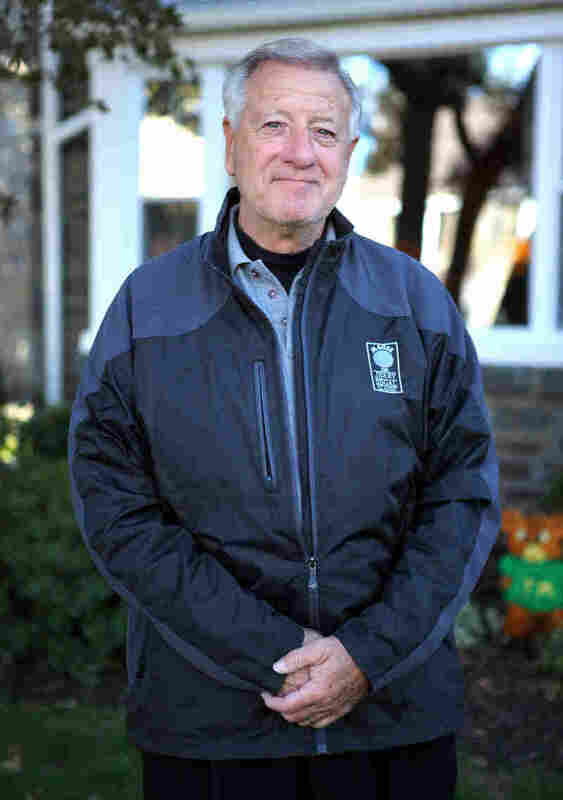 Bill Baldini was a young reporter for the local Channel 10 television station when he got a tip and made it out to Chester County to see the institution. He soon returned with a camera crew. "And we start shooting, and my crew was mortified. I mean, I had trouble keeping them on the job, because they were literally getting sick from what they saw," Baldini says. His five-part series aired on local television in Philadelphia in 1968. The reports showed images of naked, emaciated residents, swaying back and forth to their own internal rhythms, or curled up in balls. The children were tied to their beds. To this day, Baldini cannot forget. "Think of a ward of infants and children from the ages of six months to 5 years old," Baldini recalls. "There are 80 of them in ... metal cages. They had to attend to them every day, all day. These people were literally lying in their own feces for days." Jim Conroy, a medical sociologist, arrived at Pennhurst a couple of years later to research developmental disabilities. 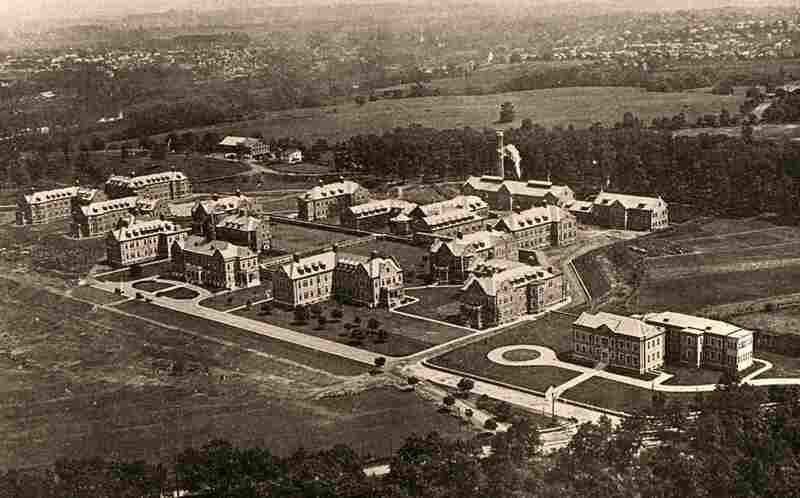 The Pennhurst campus, shown in a photograph from 1922, is located about one hour northeast of Philadelphia. 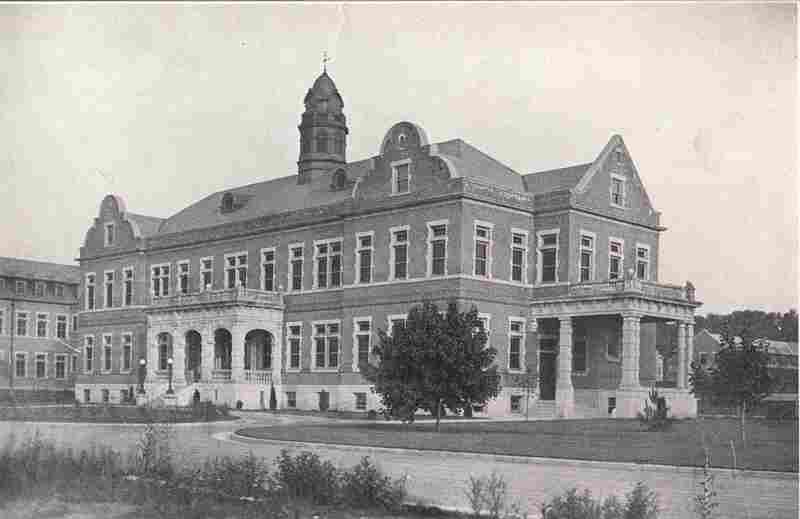 The first six buildings were completed between 1908 and 1909. 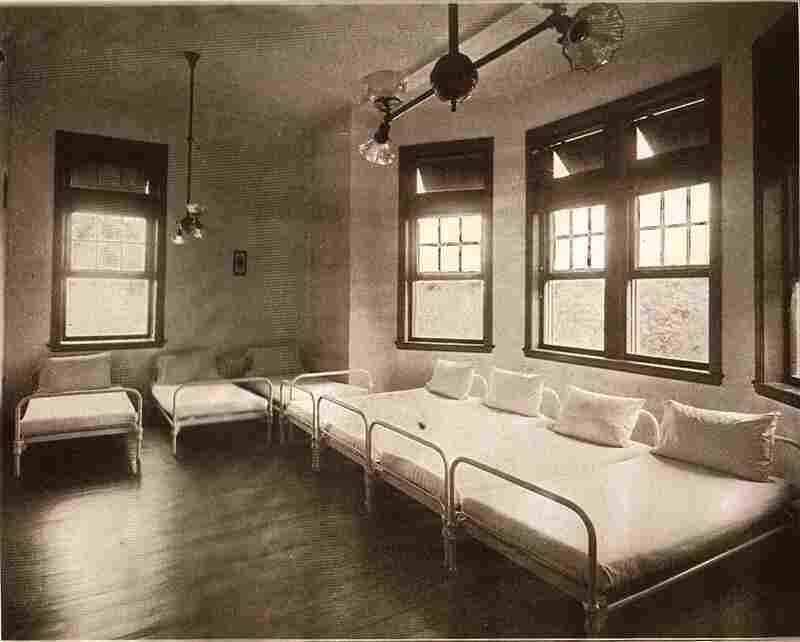 Beds line the walls of sleeping quarters on campus in this 1912 photograph. Pennhurst was closed in 1987 after years of chronic overcrowding. 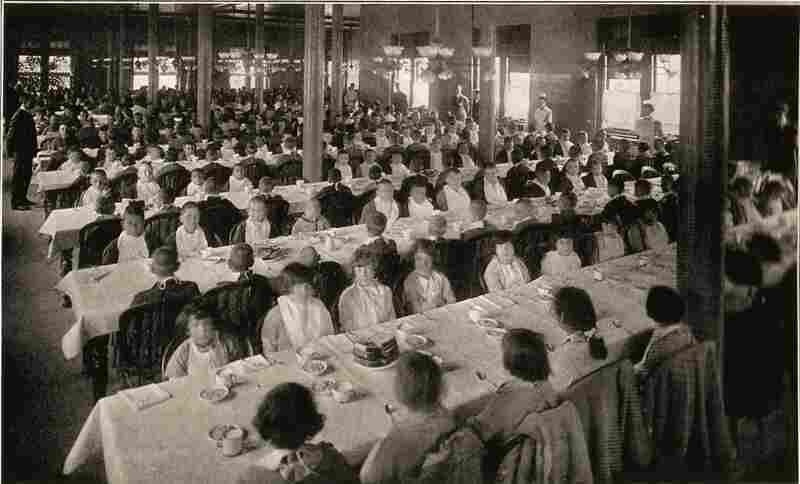 Patients are seated in a campus dining room in a photograph from 1915. Pennhurst was originally known as the "Eastern Pennsylvania Institution for the Feeble Minded and Epileptic." 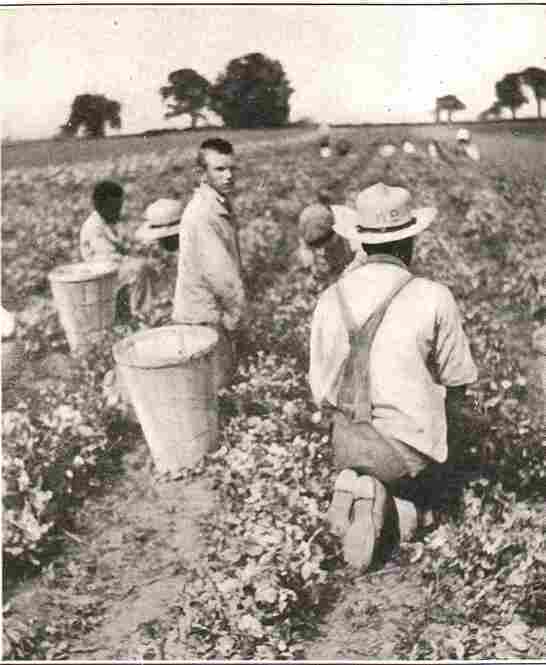 Pennhurst patients pick peas in a field in a photograph from 1918. According to a 1954 brochure, a farm along the nearby Schuylkill River provided most of Pennhurst's food for patients. 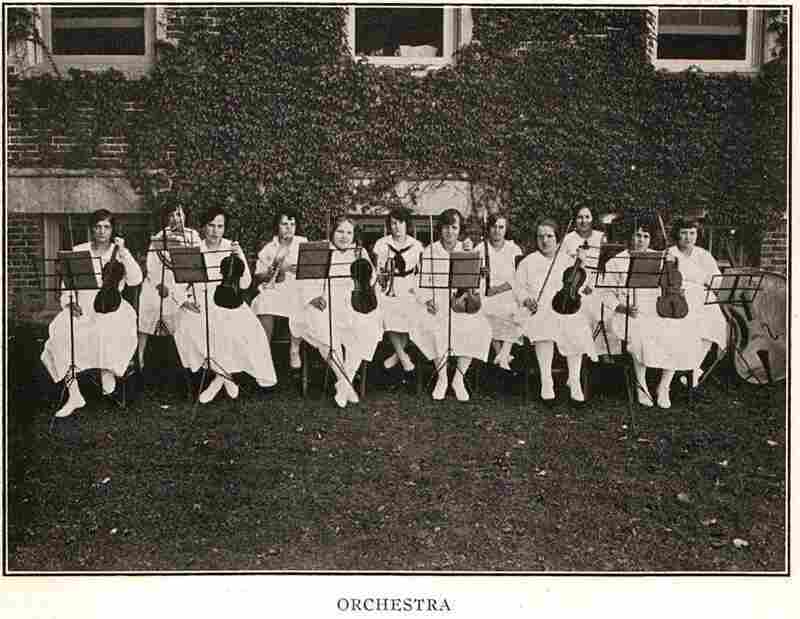 The girl's orchestra poses for a photograph in 1922. Patients could also participate in Pennhurst's choirs and marching bands. 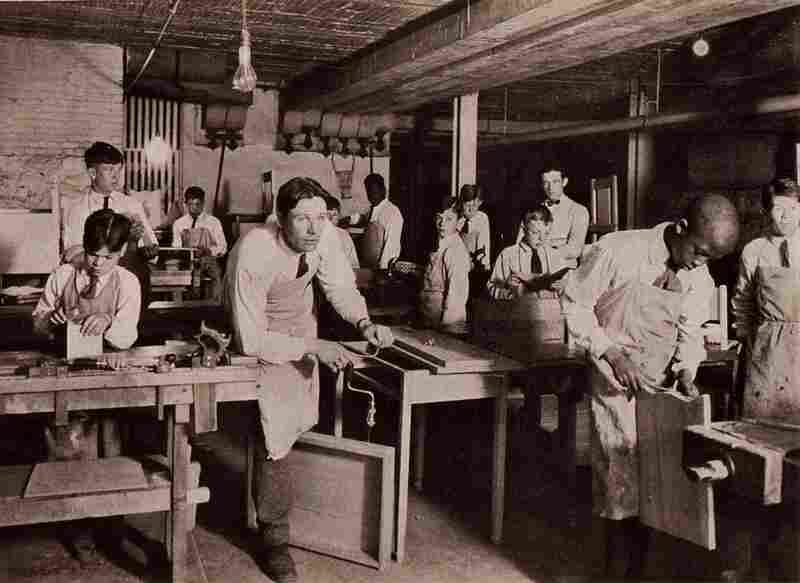 Patients practice woodworking in this 1926 photograph. Other "occupational therapy" activities included sewing, upholstering, and printing. 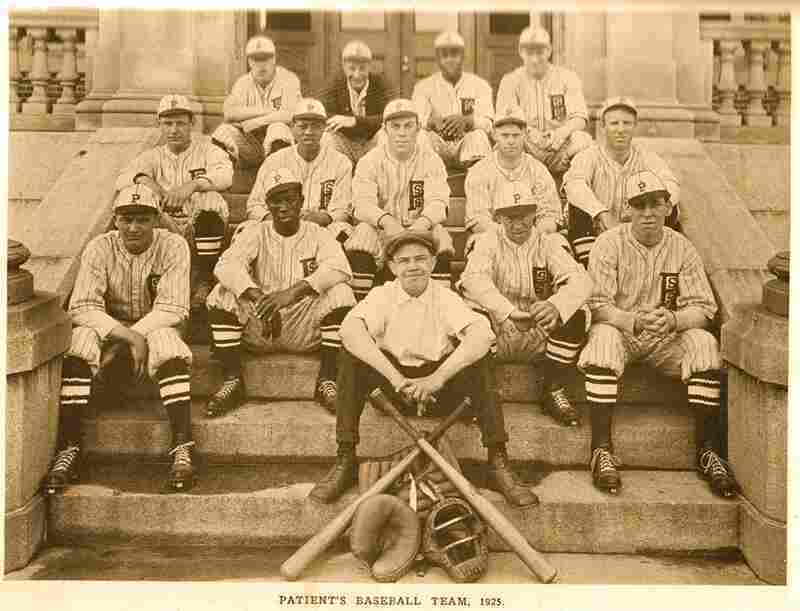 The patient's baseball team sits on the steps of a campus building in this 1925 photograph. Shown in a photograph from 1922, the administrative building now serves as the main building of the "Pennhurst Asylym" haunted house attraction. 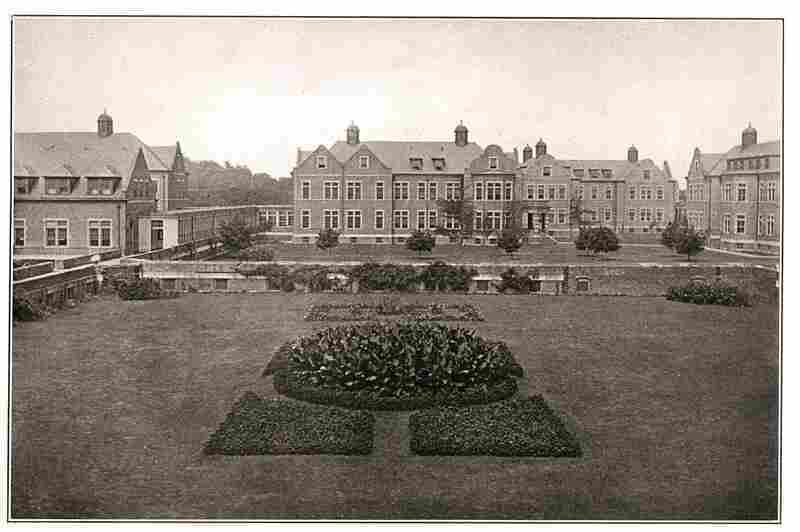 This 1922 photograph shows the campus's cottage-style building arrangement. Working patients, who outnumbered paid employees, helped to maintain the grounds. 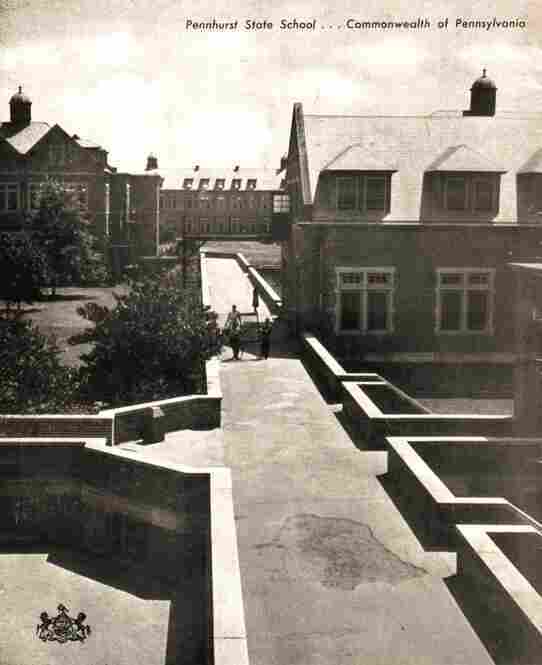 The buildings on Pennhurst's campus are connected by exterior pedestrian ramps, as shown in this photograph from the 1940s. "I drove up in 1970 in my dad's blue Chevy, and I saw a place with 3,700 people in it that was built for far, far fewer. And I saw things that I will never forget," Conroy says. Both Baldini and Conroy say the site should become a memorial to the past, not a haunted house. 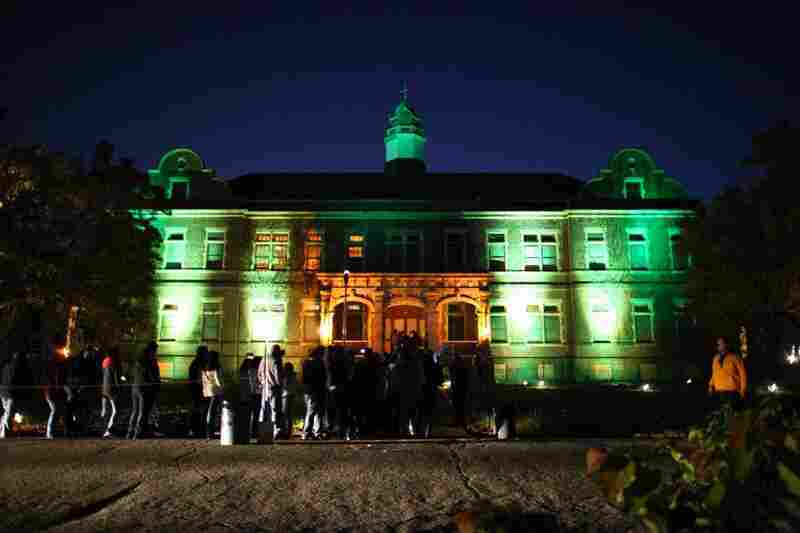 On a recent Friday night, dozens of people wound their way up to the entrance of Pennhurst's former administrative building and paid up to $50 to enter. First, visitors entered a museum featuring photos and information about the institution. Then, they entered the haunted house, which is filled with gruesome props, bloody dental patients and parts of the original morgue. The last walk is through the underground tunnel system that used to connect the buildings. Screams filled the seemingly endless stretch of utter darkness. Visitors emerged to the sounds of local heavy metal bands. Scott Clower, 19, drove up from Delaware with his friends. He says Pennhurst was known to be scary before there ever was a haunted house. "A lot of people believe ... the spirits of people [who] have suffered and died in this institution are still in here. A lot of people feel that way. I mean, that definitely adds to the thrill of it," Clower says. His friend Cecily Connell says the experience was awesome. But if the haunted house had been in one of the buildings where the residents actually lived, she probably would not have gone in. "You're not in ... the actual area where it all went down. I think that's a little bit [sadder] and should be left like that," Connell says. The businessman behind the venture is Richard Chakejian. He says when he bought the 110-acre property two years ago, it was in ruins. He now runs a local recycling business and hopes to make the haunted house a yearly Halloween event. "We went well out of our way to make sure that this event doesn't mock or mimic any of the handicapped," Chakejian says. "And I believe that the public that comes through here know the distinction and the difference between making fun of something and a Halloween event." According to Chakejian, at least 17,000 people have come since the haunted house opened in late September, and he says the attraction is contributing to the local economy. Still, his critics say there is nothing amusing about a haunted house at Pennhurst. A local preservation society is planning to protest at the site. Advocates say those who suffered at Pennhurst deserve a better memorial.